Zibrant's first European branch is to officially open this month after Florence de Margerie, former events specialist at trade fair management agency Compexposium, was appointed to lead the office. 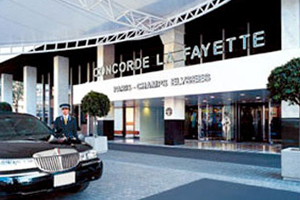 The addition to Zibrant's three UK offices will be based in Paris hotel Concorde Lafayette, located near the Champs Elysees. Zibrant's head of European operations Emma Bason will recruit staff for the European headquarters and said: "We've listened to our clients and flexed our business model to meet their requirements."